Photo courtesy of Brett Seymour, National Parks Service. Marine Protected Areas (MPA) are underwater parks – special protected places in the ocean – designated to safeguard our ocean wilderness. These underwater parks provide critical habitat including rocky reefs and kelp forests, providing safety for thousands of marine plants and animals. MPAs also support diverse recreational opportunities for swimming, diving, boating, kayaking, nature watching, and limited fishing. 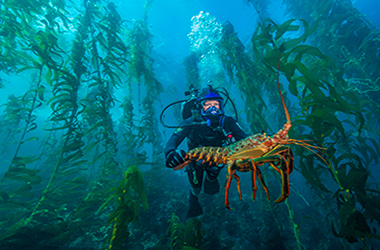 As the Conservation representative on the Channel Islands National Marine Sanctuary (CINMS) Advisory Council and Chair of the CINMS Conservation Working Group, EDC helped lead the regional conservation community through the multi-year process that resulted in this network of MPAs. This network around the Santa Barbara Channel Islands protects approximately 20% of all Sanctuary waters. We subsequently supported the effort to establish several MPAs along the Santa Barbara County mainland coast. 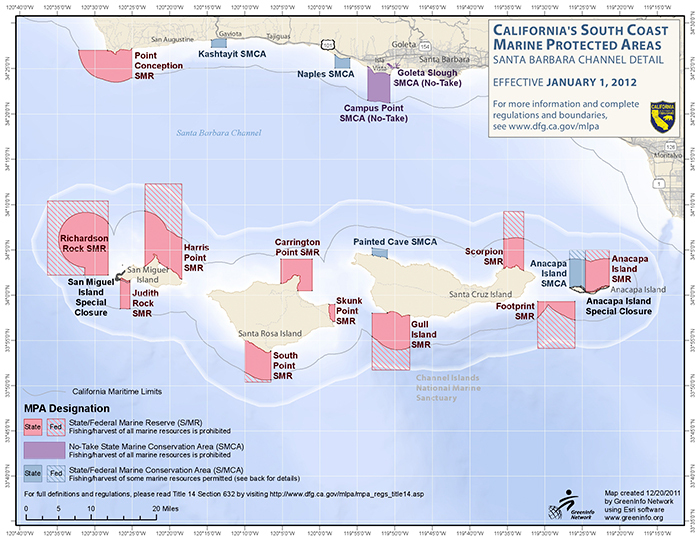 In 2013, EDC took on a leadership role as Co-Chair of the newly formed Santa Barbara Channel Islands MPA Collaborative. Alongside our partners, EDC is working to coordinate and build support for our local MPAs by convening a diverse group – including members from agencies, science, policy, fishing, and tribal communities. Together, this Collaborative aims to educate the public about ocean stewardship and the need to support businesses and activities that encourage responsible recreation inside and outside of protected areas. Today, the Channel is a special and unique place with thirteen MPAs at the Channel Islands and five along the coast.